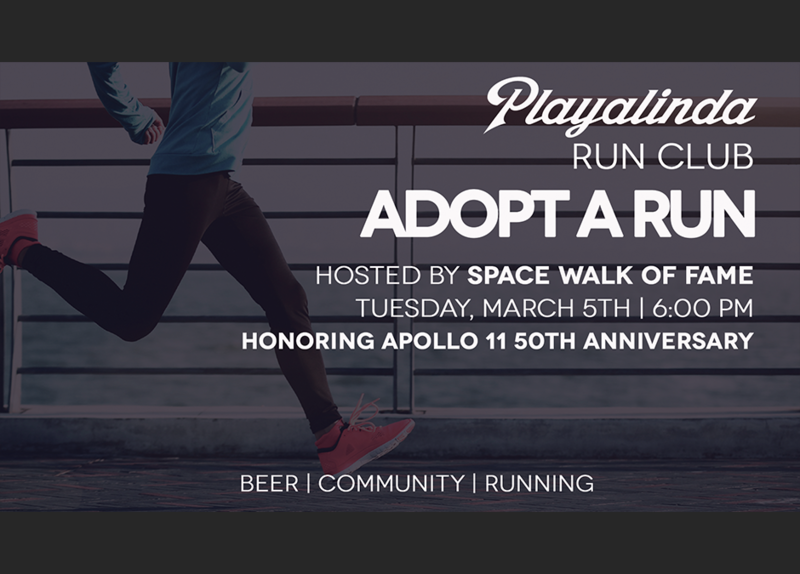 Adopt A Run with Space Walk of Fame - Playalinda Brewing Co.
We’re excited to have Marty as our host for this special installment of Adopt A Run! He will be talking to us about the upcoming 41st Space Walk of Fame 8K & 2 Miler taking place on April 6th! This annual race taking place right here in Titusville will be honoring Project Apollo and the 50th anniversary of Apollo 11 landing men on the moon for the first time (Neil Armstrong and Buzz Aldrin) and returning them safely to Earth. 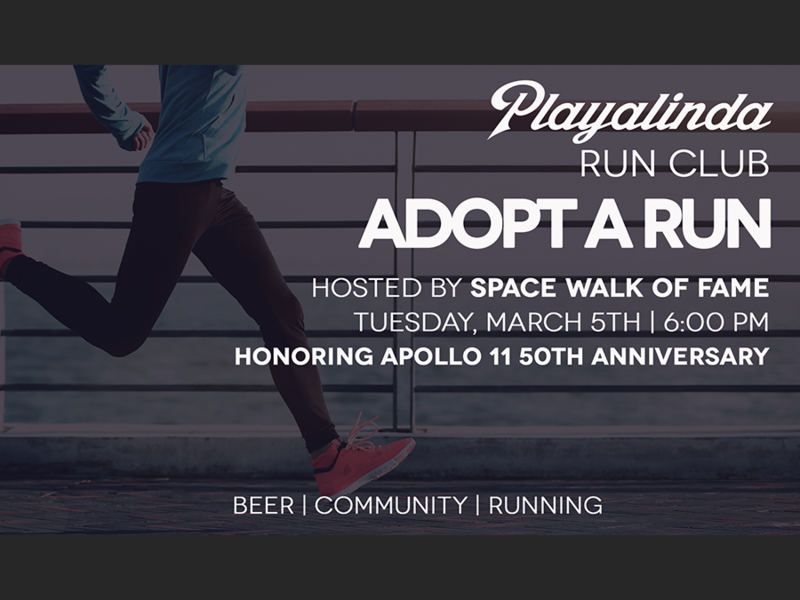 Commemorative T-shirts, finisher medals and awards will be Apollo 11 themed. As usual, runners & walkers of ALL levels welcome! Kids and dogs (of course!) are encouraged to join the fun. We have two beautiful run routes to choose from – A causeway journey up and over the Max Brewer Bridge, or a riverside “flatlanders” route along Indian River Drive. Choose your distance, choose your pace.